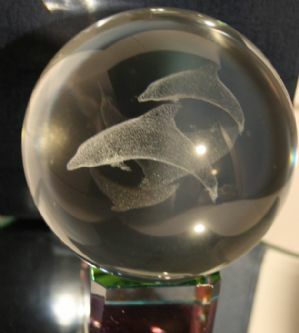 An intricate design of two dolphins sits in the centre of this crystal ball. Set on a velveteen based crystal stand, which has been AB treated to cast magical and beautiful colours. An unusual gift or a treat for yourself.